The new operating system for the apple mobile devices added a lot of useful functions. There are hundreds of functions, and more…..
Finding the right functionality for your needs could be very difficult, so I wrote a list of my preferred functionalities. 1. Do Not Disturb lets you mute notifications that may interrupt you throughout the night. Go to Settings > Notifications > Do Not Disturb to turn the feature on, set the hours, and choose whether to allow certain incoming calls. A moon will appear in the status bar when enabled. 2. Launching application using Siri. In iOS 6, Siri can launch apps for you. Just say “Open (or Run) App Name,” and Siri will do your bidding, opening the app on your iPad 3, fifth-gen iPod touch, or iPhone 4S or 5. 3. Social Network Status using Siri. Just say “Post to Twitter” (or Facebook), and Siri will guide you through the rest. You can tell Siri to include your location by saying “Tweet with my location,” and even add tags by saying “hashtag” before the word to be tagged. 4. Panorama Mode. Before iOS 6 I had DMD camera to make my own panorama, now Apple has embedded a panorama mode in his operating system. Open the Camera app and choose Options > Panorama. Hold the iPhone in portrait mode, tap the shutter button, and then slowly move your camera to the right. To finish, tap the shutter button again. 5. Full-Screen Browsing. You can now see more when surfing the web thanks to full-screen browsing. Hold the device in landscape mode, then tap the button with the outward-facing arrows in toolbar at the bottom of the screen. 6. Offline Reading List. iOS 6 brings along the Offline Reading List feature from Mountain Lion. Tapping the Share button and adding an item to your Reading List will now cache the webpage on your local device so that you can read it while disconnected. 7. Unlimited Photos for Facebook, Print, and Copy. In iOS 6, there’s an almost unlimited amount of photo selection for sharing to Facebook, Printing, or Copying to the clipboard. 8. Mail Signatures. iOS 6 lets you use a different signature for each email account. To make your per-account signatures, navigate to Settings > Mail, Contacts, Calendars > Signature, and tap the Per Account button. 10. Clock App on iPad. On the iPad you can find a Clock app that will let you create alarms, use a stopwatch, and see multiple clocks and the weather in each time zone location. 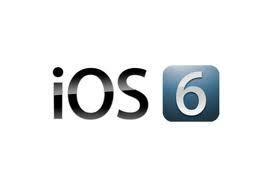 And, what are your favourite new functionalities embedded in iOS 6? Previous Previous post: Threading on iOS – How to create a new working thread. Next Next post: Hands on the beaglebone.